Before I say anything else, I want to state for the record I like strange games. Unfortunately, if a game is being touted as a bizarre tale I need to know a bit about the plot. In Sally Face, outside of the main character having a “prosthetic face” there’s little that we know. What exactly is a prosthetic face, anyway? It’s not mentioned beyond a short “That’s a story for another day” blurb at the bottom. Based on what little I know about Sally Face, I like the idea but the pitch is a bit too anemic for my tastes. An adventure game, at its core, is the story and puzzles. Neither are adequately discussed in either the text nor video. The first episode is available for free, though. 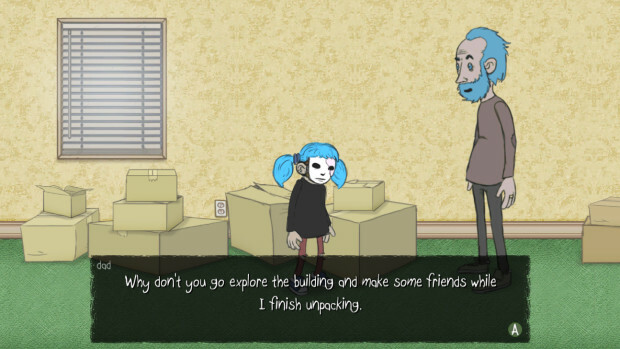 Is there enough there to download and try out Sally Face? It’s certainly piqued my interest. Will I try out the demo? Probably, just to get a better understanding of the story. However, not everybody is going to play it. It’s important for developers crowdfunding a project to realize that while a demo is great, people need to have their interest piqued if they’re going to bother clicking that download button. For this reason, having something concrete in text or video about the plot is needed. Just a paragraph or two more in the case of Sally Face would help a lot. 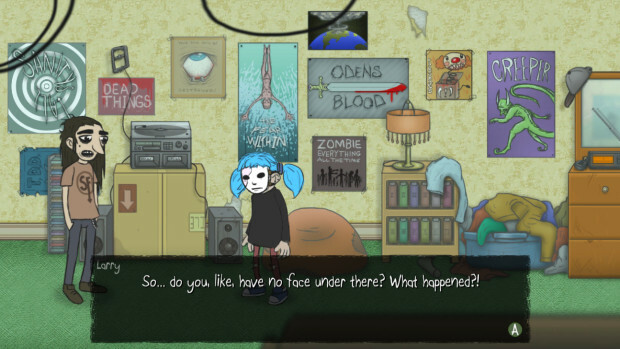 The biggest issue I have with Sally Face, though, is it’s funding scheme. I hate IndieGogo’s “flexible funding” option. No matter how well or poorly a project does, it still gets whatever’s pledged. At least with this one, we sort of know what will happen if it doesn’t get every penny asked for. It just means fewer episodes will be released.